Here’s what happened last night at city council. • Paid sick leave remains the law of the land after Spokane City Council voted 5-1 to override a mayoral veto of the controversial ordinance. • A former city council candidate lost his seat on the Plan Commission as a result of sharply worded Facebook post. Citing a lack of communication and an electoral mandate, Spokane City Council President Ben Stuckart pushed through a reversal of Mayor David Condon’s veto of an ordinance requiring most employers in Spokane to offer paid time off to their employees to take care of illness or domestic violence situations. 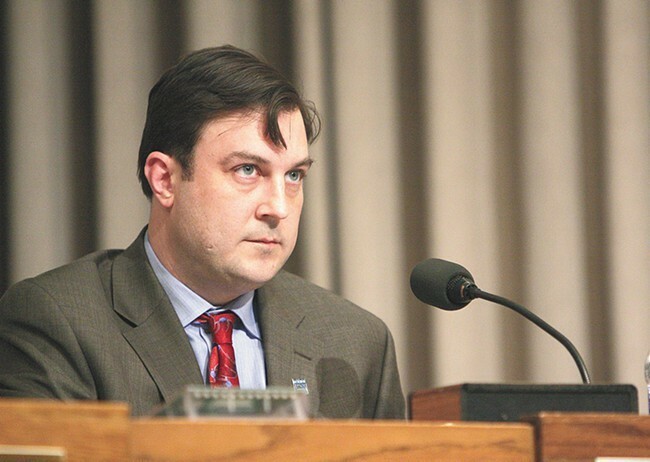 Before voting, Council President Ben Stuckart said that he didn’t hear about the press conference announcing the mayor’s veto on Friday until five minutes beforehand and that he had TV cameras waiting for him when he returned to his office. “And that’s because there is a lack of communication and involvement with the administration when they know council is doing things,” he said. Stuckart, visibly irked, said that the mayor criticized the sick leave ordinance for exempting the building trades and for lacking an enforcement mechanism. Had the administration been more engaged, he said, those issues would have been addressed. “The administration was offered to come to the stakeholders group [that helped craft the ordinance] and participate,” he said. Stuckart noted that sick leave was an issue during last November’s election and that candidates who supported the ordinance won a majority on council. Councilman Mike Fagan was the only “no” vote. Facebook post from Verduin that sharply criticized the council for passing the sick leave ordinance. Shortly after the vote, the mayor issued a statement expressing his disappointment. 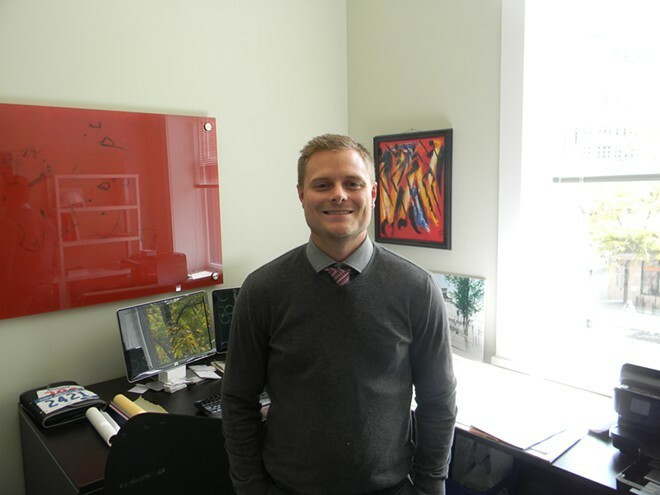 In the lead-up to the vote, the Spokane Home Builders Association wrote to council describing Verduin as a “bright young family man” who was leading discussions on infill development, a priority of the city, on the Plan Commission. The Facebook post was sponsored, meaning that Verduin paid money to have the social network boost its reach. It called Stratton a “contamination” and suggested that council members lied in the lead-up to the passage of sick leave. In a letter sent to council Monday, Verduin again apologized for the post, which has been taken down. “I believe as humans we can all fall guilty to making an offending or divisive comment or two, especially as it might relate to political issues,” reads the letter, which you can see in full below. After the council meeting, Councilwoman Candace Mumm, who joined Lori Kinnear and Amber Waldref in voting against Verduin’s appointment, said that as a former Plan Commission member herself she’d never seen this type of behavior. She also said that the commission’s rules call for a “Duty of Mutual Respect,” which she said Verduin violated with his post. Here’s Verduin’s full letter. Also is a letter from Lois Stratton, Karen Stratton’s mother, sent to Verduin as well. I am writing to address the letter that Council Member Stratton sent to the Mayor regarding a Facebook post I made earlier this month. Council Member Stratton had a right to be offended by my post as it was unprofessional and divisive. I removed the post and after meeting with President Stuckart, reached out to CM Stratton apologizing and admitting the post was less than productive and urged that we focus on the goals we share on the Plan Commission. At this time, I would also like to apologize to the entire council and resolve to be more constructive in the future. In her letter to the Mayor, CM Stratton writes that she will not support my re-appointment to the Plan Commission, and states, “…his conduct raises a serious question as to whether or not he can interact constructively with the City Council.” I can assure you this is not the case, any more than when the council has disagreements with the Mayor’s office or any other commission member. I believe as humans we can all fall guilty to making an offending or divisive comment or two, especially as it might relate to political issues. Just recently, some council members have publicly stated they have been lied to, and/or implied the timeliness of the Mayor’s decisions were made for political benefit…quite similar to the two points I made in my post. Do these comments disqualify those council members from interacting constructively with the Mayor’s office? Do these comments represent a disdain for the Mayor’s office? No, they don’t. Just as my comments do not disqualify me from constructively working with the City Council, nor do they represent a disdain for the City Council members. The larger issue, as CM Stratton infers in her letter, is the importance of engaging in civil public discourse. To this sentiment, I wholeheartedly agree. We should all strive to be more respectful in our language and our actions. And, this sentiment should apply equally to those with whom we agree, and to those with whom we differ. If this concept is truly important to the council members, then my FB post should be treated no differently than those public comments made by its members. But personally, I will endeavor to be more respectful in both my words and my actions. Nearly 16 months ago, the council voted unanimously to confirm my position on the Plan Commission, and approximately six months ago the Plan Commission members voted me unanimously to Vice President. Nothing has changed since those votes except disagreement over political issues. Those issues have no bearing on the accomplishments or work of the Plan Commission, and those issues should not be a factor in my reappointment. I respectfully request your vote to confirm my appointment and look forward to the work we can accomplish together in the coming years to improve our community. Here is an letter from Karen Stratton's mom to Verduin, who described it as "counterproductive." How differently you change your tune when you want something! And you bragged that you were not a politician...not only are you a very bad example of a "politician" But a pretty good phoney public servant. Your behaviour is nothing to be proud of and i for one will be counting the votes for your reappointment and will be most pleased if the votes are not there. Might even do a little lobbying. On a positive note, you are young and i would hope that this experience in bad judgement will convince you that honorable public servants, which there are many, possess the traits demanded by society...honesty, professionalism, decent human beings, respect for our government servants (good and bad), and they dont take kindly to being called liars by punks like you.